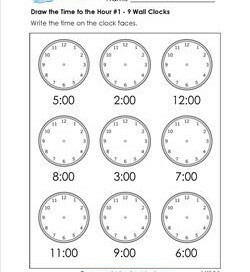 You’ll keep busy with 12 alarm clocks on this draw the time to the hour worksheet. 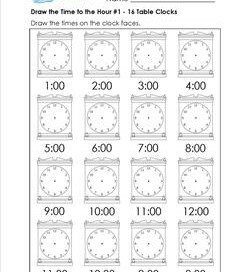 Can you hear the clocks ringing? What are they ringing for? 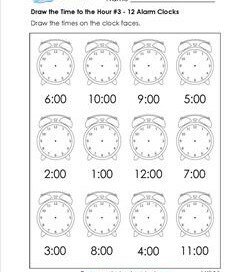 The clocks on this draw the time to the hour worksheet are smaller than on the other worksheets. You’ll have to take your time and draw carefully. Don’t be hasty when writing the times on these clocks. Draw the time to the hour with preciseness knowing you’ve done your very best job!